A first-of-its-kind FBI operation carried out in 2012 targeted several unauthorized Android marketplaces, seizing their domains and arresting their operators. Together they're accused of pirating close to $19 million dollars in illicit apps. Yesterday another member pleaded guilty to conspiracy to commit copyright infringement. Assisted by police in the Netherlands and France, in the summer of 2012 the FBI took down three unauthorized Android app stores. Appbucket, Applanet and SnappzMarket all had their domains seized. 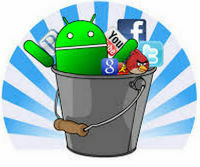 The event was the first of its kind in the Android piracy scene. 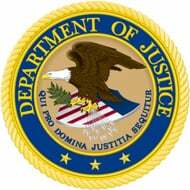 During the two years that followed the United States Department of Justice has slowly released more information on the operation, subsequent arrests, charges and pleas. Yesterday, Scott Walton of Cleveland, Ohio, became the latest to plead. The 28-year-old pleaded guilty to one count of conspiracy to commit criminal copyright infringement before U.S. District Judge Timothy C. Batten Sr. of the Northern District of Georgia. Walton was arrested in July alongside Joshua Ryan Taylor, 24, of Kentwood, Michigan. 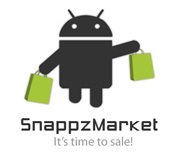 Both stand accused of being members of the SnappzMarket release group. Another member of the group, Kody Jon Peterson of Clermont, Florida, pleaded guilty in April to one count of conspiracy to commit criminal copyright infringement. Peterson gave up his right to be tried by a jury and any right to an appeal. He also agreed to cooperate with the authorities in the investigation. In common with Peterson, Walton admitted being involved in the illegal copying and distribution of more than a million pirated Android apps with a retail value of $1.7 million. He will be sentenced at a later date. Members of Appbucket have also been facing the legal system. During March and April 2014, Thomas Allen Dye, 21, of Jacksonville, Florida; Nicholas Anthony Narbone, 26, of Orlando, Florida, and Thomas Pace, 38, of Oregon City, Oregon all pleaded guilty to conspiracy to commit criminal copyright infringement after distributing Android apps with a value of $700,000. Another indictment returned June 17 in Georgia charged James Blocker, 36, of Rowlett, Texas, with one count of conspiracy to commit criminal copyright infringement. A further indictment in the same month charged Aaron Blake Buckley, 20, of Moss Point, Mississippi; David Lee, 29, of Chino Hills, California; and Gary Edwin Sharp II (also of Appbucket) with one count of conspiracy to commit criminal copyright infringement for their part in Applanet. Lee was also charged with one count of aiding and abetting criminal copyright infringement and Buckley with one count of criminal copyright infringement. The USDOJ claims that along with other members of Applanet they are responsible for the illegal distribution of four million pirate Android apps with a value of $17m.